How much though do you give to your home’s heating? The chances are you have a boiler that works throughout the year to produce heat, which is then distributed by radiators throughout your property. But how efficient is your system? In actual fact you could be wasting hundreds of pounds every year with an inefficient boiler. 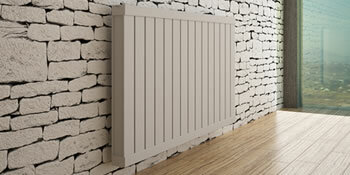 Instead, by upgrading your heating you can make significant changes to your home’s efficiency. Infrared heaters are becoming more and more popular. Heat is released at a lower temperature and absorbed into the walls, floor and ceiling. It’s then projected evenly back into the room, efficiently heating your home. It’s actually very easy to switch to infrared heaters and experts can have the new system up and running quickly and with no hassle on your part. Panels are often mounted on the wall and tracked into the wall to leave a clean and tidy finish. Last for up to 30 years and more. There are also health benefits to having infrared heaters. Heat released is similar to sun rays and helps to stimulate your metabolism and immune system. As the system doesn’t use convection to circulate heat, disease, mold and dust cannot spread. And don’t worry because infrared heaters are low electrosmog devices and as such, there is no harmful radiation. Project: Suspended infra red heating installment. Project: Need to install 2 wall mounted infrared heaters in my one bed room flat. Project: One or at most two free standing infra red panels. Information on running costs required. Cost of and range of panels available. The below data indicates the energy performance of homes in Uk. Energy ratings vary from A to G, with A being the most energy-efficient and G being the very least efficient. The Energy Performance Certificate (EPC) rating comes into play heavily when trying to sell your household, as potential buyers will see just how much they're probably going to be paying for their heating expenses. Home upgrades such as insulation help to drastically boost a home's EPC rating. The information beneath reveals the several types of houses in Uk. Essentially the most common homes around the UK are detached and semi-detached households. Other types of properties encompass terraced houses, flats, converted flats and bungalows. The pie chart underneath reveals the portion of houses within Uk that are central heated and non-central heated. Central heating figures within the the vast majority of UK properties, including those on the gas grid and properties heated by oil and electric. The information beneath displays the spread of properties heated by different fuels. Around the UK the most common by far and away are gas heated homes, followed by electricity and then oil. Biomass central heating boilers are also increasing in popularity, heated by environment friendly products including wooden pellets or agricultural waste.|Properties in the UK are heated up by a range of fuels, including gas, electricity, oil, solid fuel and LPG boilers. Each fuel has a varying cost associated with it so you might find yourself with more affordable energy bills by switching the way your home is heated. Even solar thermal panels are being considered by many people as a way to reduce heating bills for the years to come.